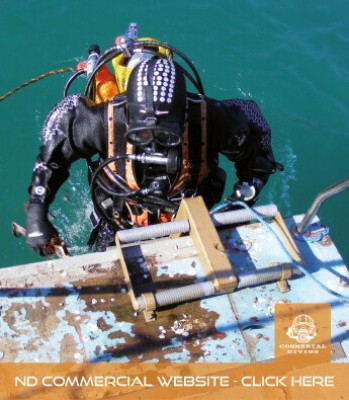 Our innovative Dry Glove Ring System is trusted by recreational, technical and commercial divers around the world in an incredibly diverse range of diving conditions, including contaminated water environments. 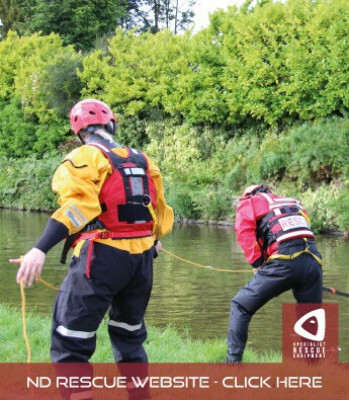 The system has been designed for use with neoprene or membrane drysuits that have either latex or neoprene wrist seals. It'll fit almost any suit at almost any stock size. 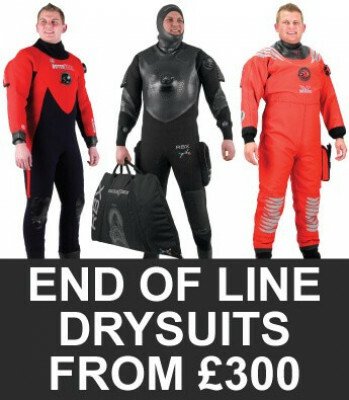 There should never be a fitting issue with a drysuit with latex seals as they're set stock sizes; for fitting on a suit with neoprene seals, if you're concerned, we'd advise you to consult us about it first. 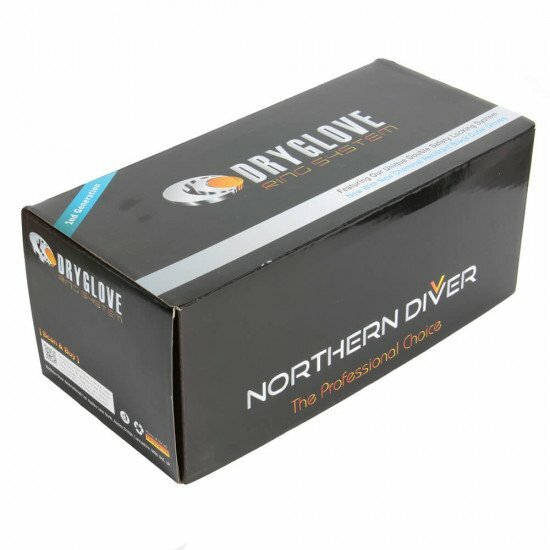 The fitting of the Dry Glove Ring System doesn't impact the integrity of the drysuit seal in any way. 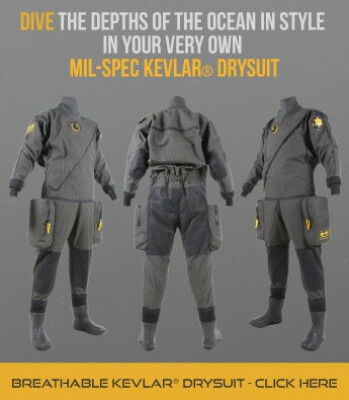 The best part of the system is that it essentially adds another seal and with this inner and outer gloves, you're wearing an additional set of gloves for your dive. This will help you stay warm when diving in cooler climates for longer. 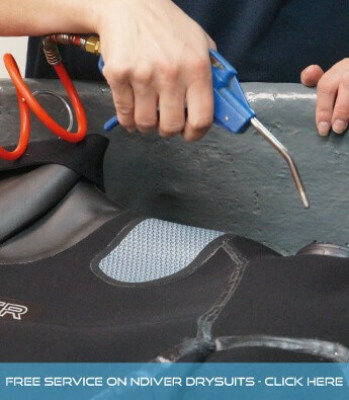 Once fitted to the drysuit, the twin-safe locking ring mechanism gives simple, secure glove engagement. Releasing the gloves when required is equally as straightforward. One of the main benefits of the Dry Glove Ring System is that you can take the ring system on and off as required making it incredibly versatile, it doesn't affect the form, function or fit of your suit in any way. 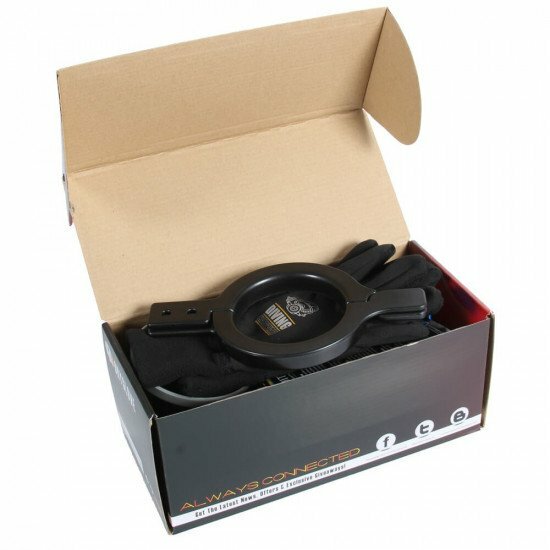 What's in the box of a Dry Glove System? 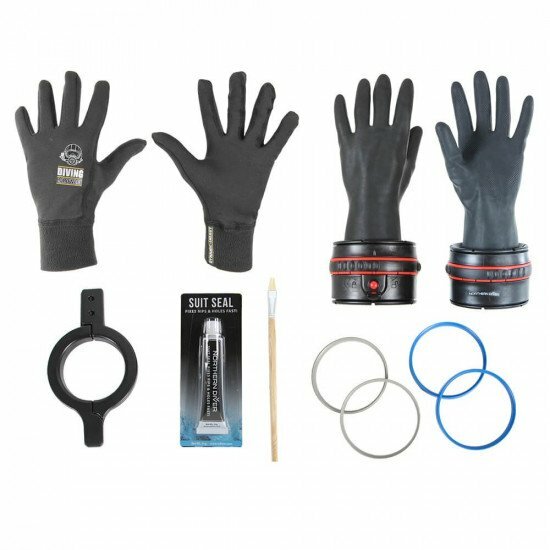 Included in the Dry Glove System package are the pair of Ansell Extra™ gloves, thermal fleece inner gloves, two dry glove modules, three sealing rings, a locking tool and an adhesive sealant*. 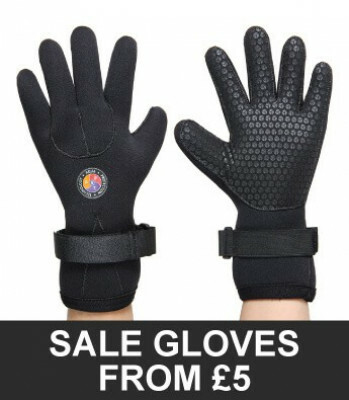 What size of Dry Glove should I order? Please order the usual size of glove you wear. We've sized up the outer glove when we've made them to compensate for the wearing of the inner glove. 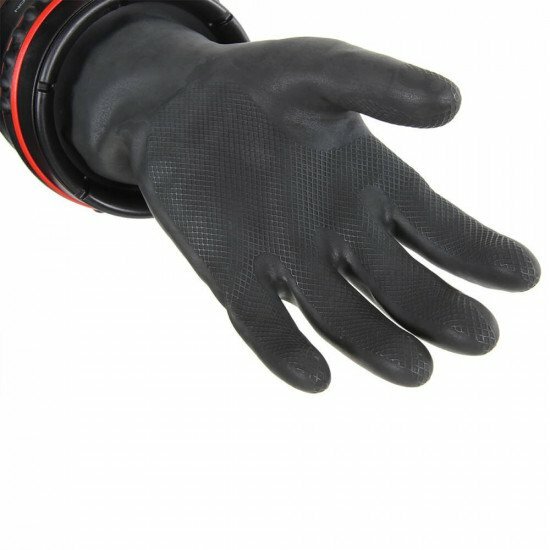 So if you use a large glove normally, you should order a large in the Dry Glove system, it'll fit perfectly over the usual large inner glove. Can I fit the Northern Diver Dry Glove Ring System myself? You can yes, however as with any alteration or repair, we'd always suggest you should have them fitted by a qualified repair technician. An instructional video for fitting is available on our YouTube channel. You can also access this video via the link on the left hand side of this page. 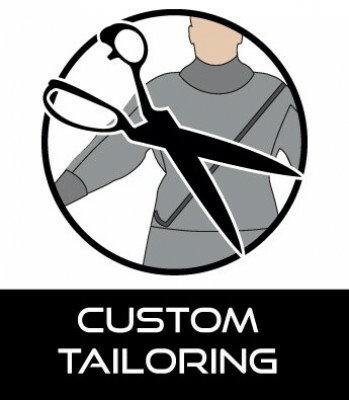 We offer a fitting service for an additional fee. 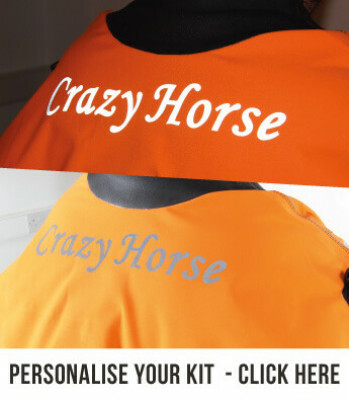 Please contact us to enquire. The robust housing that brings the system together. 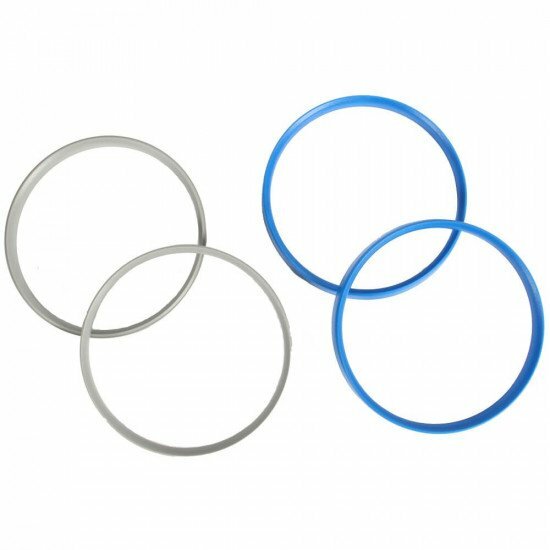 These modules lock the system in place and are equally used to disengage the system by means of the twin-safe rotating ring and button mechanism. Gloves conform to the requirements of European Directive 89/686/EEC and to the European standards EN420:2003 + A1:2009, EN374:2003 and EN388:2003. I have just come out of Stoney cove, a cool 6 degrees. My hands are still dry and very warm. Well worth the money for that feeling alone. I would highly recommend these gloves! Excellent service (thank you Janis), and it's really great having dry hands at the end of a cold water dive. Far better than any 5mm gloves that I've used. Warm dry hands... excellent. Thanks to Janis for his customer service skills and for helping me out. This is actually my second glovesystem from ND and even better than the previous version. Specifically the gloves are far better than before. The new gloves feel like you are just wearing normal gloves giving excellent ability to use boltsnaps, reels, lights etc. 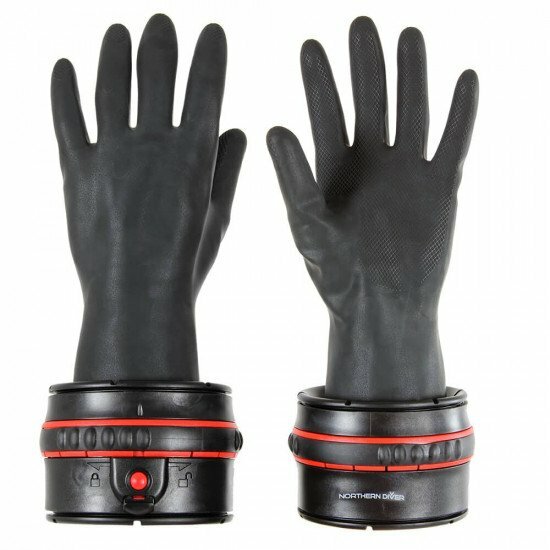 I will absolutely be recommending these to everyone who´s asking what glovesystem to get! 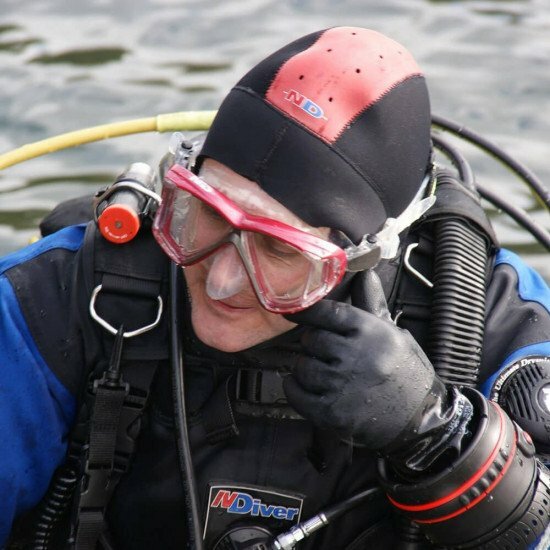 I am a volunteer recovery diver (drowning victims), evidence recovery for public safety organizations and we dive in the northeast US, all year round. My hands get very cold and have cut short some dives. Ordered and installed 2nd gen dry glove ring system (ND divemaster suit) and went in 33 degree F (about 0 celcius, maybe 1) for almost an hour..! Dry hands, warm, could have gone longer. We had to cut thru 13 inches (1/3 meter) of ice to get to the water very cold outside but these worked. So impressed, I am buying a 2nd set for my son. Stopped by on the way to a dive to get some thicker dive gloves. 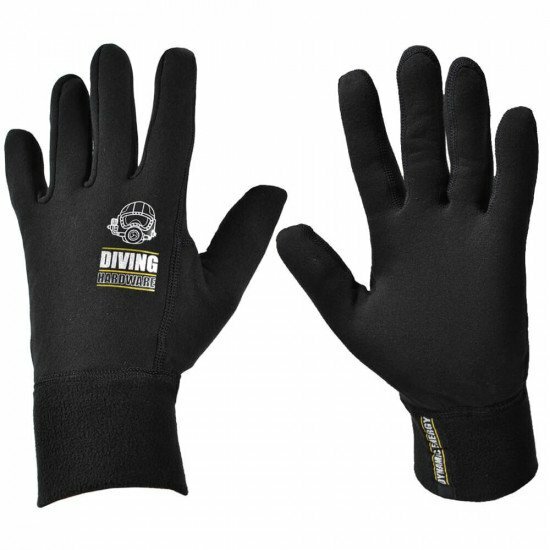 Was questioned the whole time why `I wouldn't take the plunge and and have the dry glove system attached to my drysuit', which was in the car. Finally persuaded, I took the plunge and after two dives with a water temp of 4C, I feel I wouldn't of done the second dive if I had been using wet gloves. The drygloves quickly attached on site, no leaks and warm hands. And after a bit of stretching from the natural air movement on the first dive was able to put them on by myself for the second dive. Extra bonus, if I needed to remove the ring it pops off and the dry suit looks like it did prior to the dry glove ring being attached. Thanks ND. My old dry gloves had a leak and Janis (ND) suggested 2nd generation black dry glove system. Wow so much more dexterity and felt warmer too. Tried them in Eccy today. 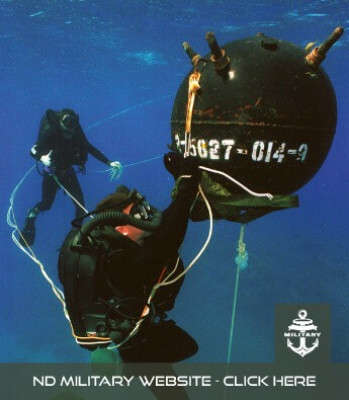 I sidemount so need as much dexterity as I can get. 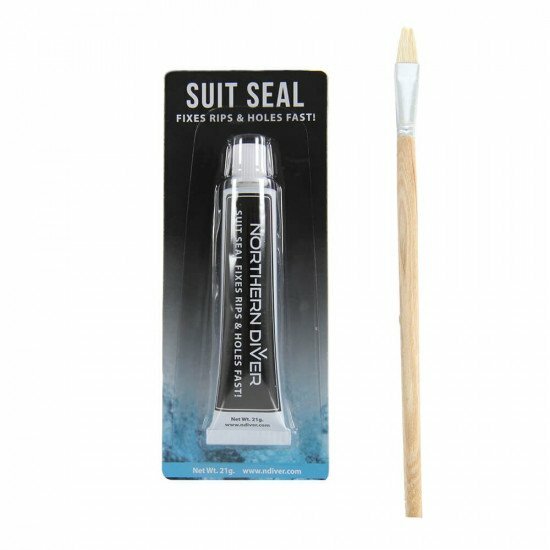 Would highly recommend them but my advice is get the Northern Diver Inners (come complete with the full system) and then get some merino wool inners to supplement them. End up toasty.. 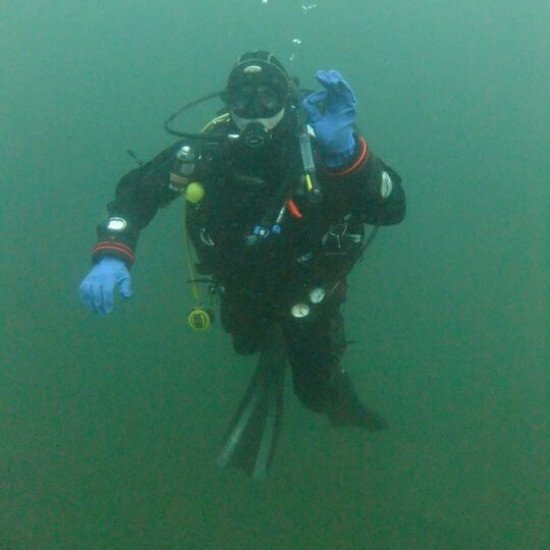 I dive cold water in Canada and was looking try dry glove systems. This seemed to be a good fit without requiring a suit customization commitment. Turns out that I liked them so much, I couldn't shut my mouth about having toasty warm hands post dive. Now three other divers are sporting the same set-up. 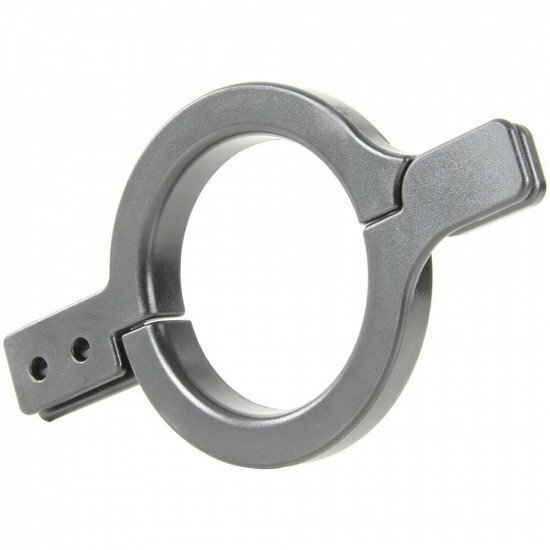 We have noticed that the locking ring buttons can jam up after silty dive encounters and require a good flushing and silicone to keep them operating nicely. That positive lock, once the locking ring is rotated shut puts a smile on my face knowing I'm diving dry.